Please Note: The Pure Binax was Replaced by the Pure Primax and then in October 2017 the Pure 312 Nx. Click Here to See the Pure 312 Nx. The Pure Binax is the next generation hearing aid technology from the very successful Micon technology. Binax processes 20% faster than Micon and is clinically proven better than normal hearing in demanding listening environments. The Pure Binax is feature-rich, convenient, easy-to-use, very discreet and uses one third less battery drain than the nearest competitor's hearing aids. The Pure Binax is smaller than the Carat Binax because it uses a 312 battery. Binax is an advancement considered a complete revolution in audiological engineering. Two independent clinical studies have shown Binax to outperform normal hearing in certain difficult listening situations, like restaurants, cocktail parties, cars and in the wind. Information from both ears is used to localize sound sources, maintain spatial orientation, and understand speech better. This is especially helpful in noisy and challenging listening situations. By using the advantages of hearing with two ears, or binaural hearing, Pure brings you cutting-edge technology to deliver the most natural listening experience possible. Receiver In the Canal (RIC) hearing aids are smaller than traditional Behind the Ear (BTE) hearing aids. This is true because some of the circuitry, the receiver, is moved from the hearing aid housing to the ear canal. The result is that the RIC design has a much smaller housing. The Pure is a rechargeable hearing aid and offers the utmost control and connectivity, allowing you to discreetly adjust your hearing aid settings and letting you connect to a variety of audio sources, including TV, smartphones, and your favorite apps, like Google Maps or FaceTime. The Pure Binax has accessories like the easyTek, the easyTek App and the touchControl App allowing for an additional level of convenience and discretion. 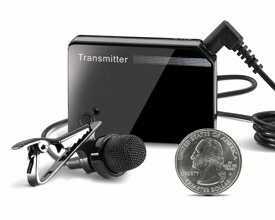 It's fitting range can accommodate most any hearing loss. It can accommodate progressive hearing loss over time. 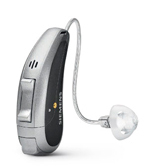 Siemens hearing instruments are always on the leading edge of quality hearing aid technology. Binax includes these new features: Spatial Speech Focus, Narrow Directionality, Spatial Configurator, Binaural eWindscreen and e2e Wireless 3.0. It is available in the 7bx, 5bx and 3Bx feature levels. Warranty - Manufacturer's 3 year warranty with 5 Binax and 7 Binax. 2-year warranty with the 3 Binax. Warranties includes loss and damage coverage. 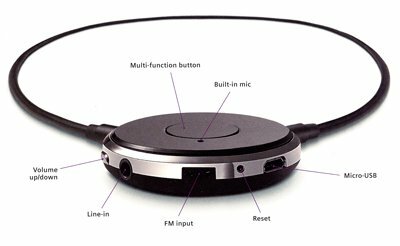 easyTek transforms your Binax binaural hearing aids into a high-quality, stereo headset. The smart multi-function button lets you turn easyTek on and off, answer a phone call, change listening programs or easily switch audio sources like music players, TVs and more, with just one button. The straightforward volume controls allow you to change the volume of your hearing aids. LED lights give you important information, such as when it's time to recharge the battery. Discrete, it can be worn underneath a shirt. 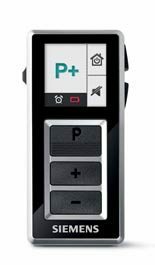 Siemens easyPocket sleek, simple remote control places all your hearing aids' options at your fingertips. Large, convenient buttons and an easy-to-read display make accessing the features of your hearing aids easier than ever before. 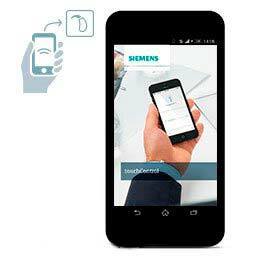 Touch Control App Turn your smartphone into a discreet remote control for Siemens hearing aids – and enjoy a high level of handling comfort right at your fingertips without any intermediary device. Adapt to changing listening situations by using the touchControl App to make easy and discreet program and volume changes adjustments. Use SoundBalance to effortlessly change the bass and treble of your environment according to your listening preference. Easy to use and easy to get just simply download the touchControl App to your Android or iOS smartphone on the Google Play Store or Apple App Store. The best part is that the download is free!